Welcome to the website of Skipton Primary School. We are a rural school situated in a productive farming area around two hours drive west of Melbourne, Australia. Take a tour through the website. There are lots of photos, work samples and information. 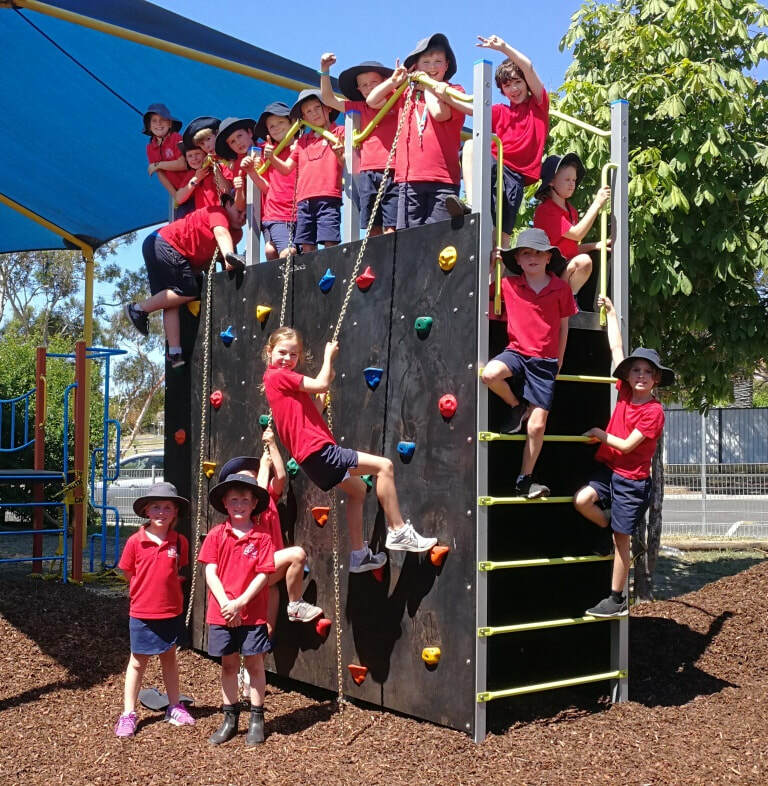 Our brand new rock wall, a result of a generous grant from the Bendigo Bank: Skipton and Beaufort branch. Our girls did it again!! 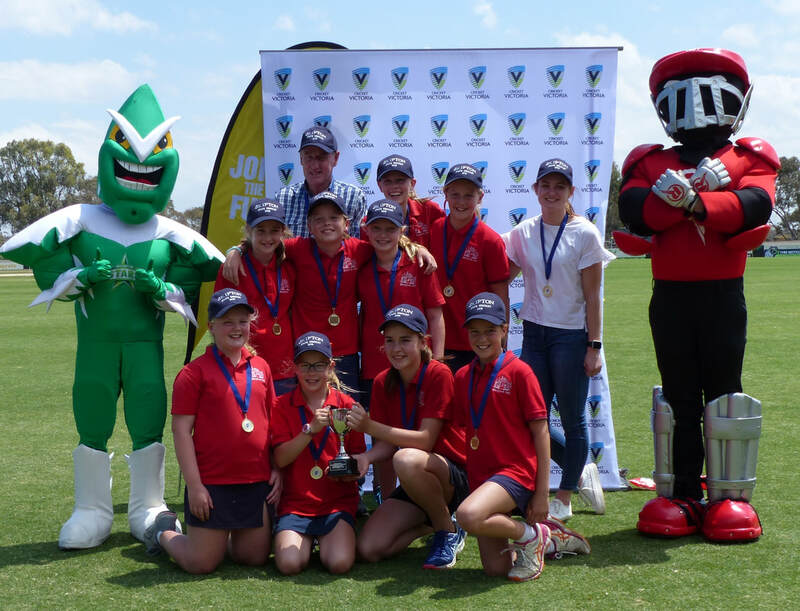 They won back-to-back STATE FINALS and so they are the best team IN THE STATE in T20 Blast Cricket! Great job girls and coaches! We deliver a high quality curriculum for our students and achieve excellent results because we have terrific students, expert teachers, involved parents and modern facilities. Excellent academic results – your child will be challenged. Excellence in sporting achievement – your child will be active. Top of the state in Student Attitudes Survey for Learning Confidence – your child will be confident that they can achieve. Top of the state in Student Attitudes Survey for Student Morale – happy kids learn. Top of the state in the Parent Opinion Survey – you will be happy and feel connected to the school. Top of the state in Staff Opinion Survey – our teachers love their job. Contact us on 03 5340 2002, or click the email icon. ​We have a closed Facebook group for parents and staff - click on the icon.